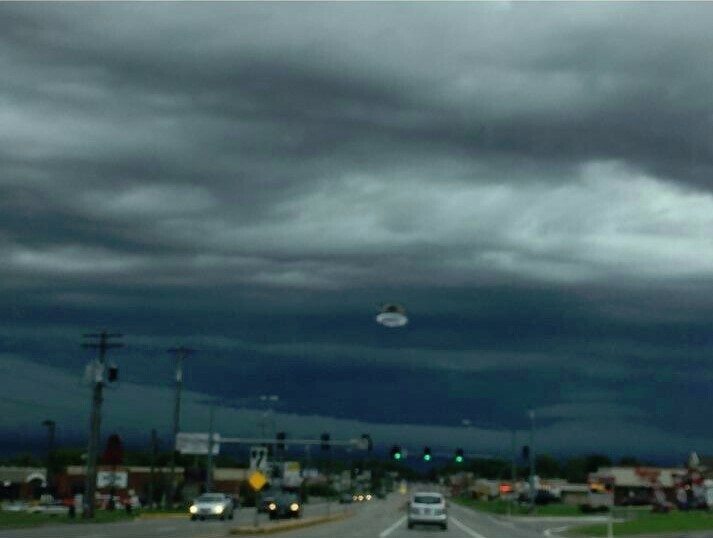 31-08-2018: UFO Sighting Photo in Webb City, Missouri, U.S.
31-08-2018: UFO Accidental Photo Capture in Webb City, Missouri, U.S.
Summary Driving n into Webb City mo, taking pics of clouds. Object was not seen in sky at time. approximately about mid-light through that intersection in front of Taco Bell on the west side. My friend was the passenger and she was leaning over towards the center of the car to get a picture of the sky as heavy storms were in the area and they were going Carthage; she says that neither of them saw anything in the sky other than the clouds and obviously the traffic in front of them, but certainly didn't see any object.  When she pulled the picture up to view it and see if they got a good pic of the clouds, they also saw this object in the image. Surprised and dumbfounded, they pulled into a parking lot and got out to check the sky where they were when the picture was taken, but nothing was in the sky then. The time frame for all of this happening from the moment of the picture being taken until they pull into the parking lot to check the sky, was maybe a minute at most. She shared the pic with me because she knew I have an avid interest in the subject of UFOs and paranormal happenings, and she was really just throwing it at me to see what I thought it was. I have no idea of what it is, but it's outside of the car in the pic because it does appear to be elevated in the sky and certainly no kind of reflection from within the car. I thought I would submit this to you so you could add this to your to the database or whatever the protocol is. I would like to know any thoughts or opinions you may have about the object..
Is it something like the object that is alleged to have crashed in Kecksburg - a bell shaped object as this one appears to be shaped? Thank you for allowing me to submit this very strange and odd object in the sky between Joplin & Webb city. BEAMS Comment: We've studied this photo intently, and we don't think that the unidentified aerial object image was caused by an internal reflection; it looks absolutely fine and genuine to us in every way. It's really quite a fascinating capture.... and we know that UFOs are sometimes the result of extremely happy accidents like this... lucky shots!